I was sitting on the back porch, reading. I was wearing my red hoodie to as shade to the sun. There was a buzzing behind my head. I’ve lived in California long enough to become used to hummingbirds, so I knew one was checking me out. It was ever so brief. I felt like a jilted flower, but I was honored just to be noticed. 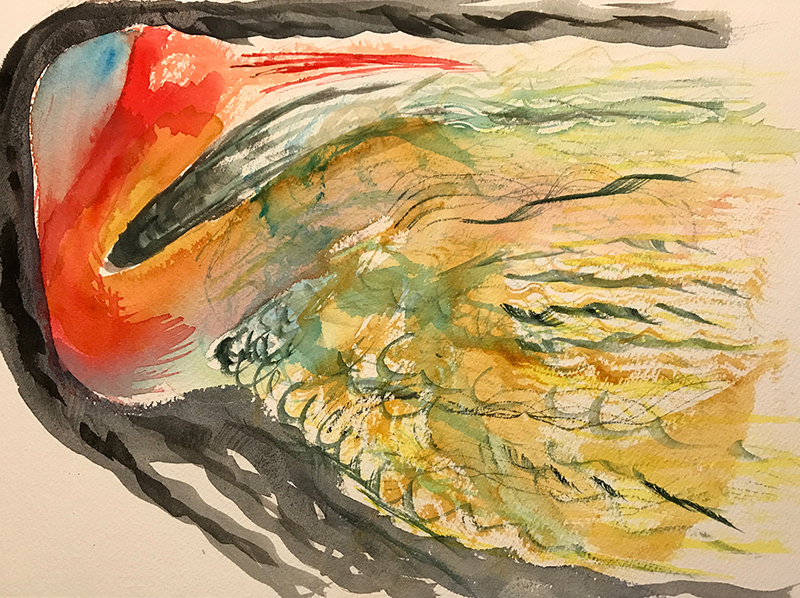 This entry was posted in Personal Stories and tagged abstract art, abstract expressionism, art, artistic process, bird watching, creativity, hummingbird, painting, turbulence, visual arts, watercolor. Bookmark the permalink.